I meet so many people who have been struggling through a problem and have found themselves feeling lost and hopeless. I have decided to share a series of stories from my clients (with their permission of course) with the aim of putting positive information out into the world and inspiring hope for anyone having difficulties. Describe how things were for you just before you started sessions (e.g., how long the problem had been going on for, how much sleep you were getting, how you were feeling). Before I started the sessions I was having sleep problems on number of nights each week. This would either involve great difficulty getting to sleep or waking in middle of the night and unable to get back to sleep. I was feeling and looking tired and during the past year had a number of minor health issues and infections (urinary tract and upper respiratory infections). Since ending the therapy sessions I can report a considerable change – improvement – in my sleep pattern. I now sleep very well – and do not experience trouble in getting to sleep or being awake for long periods during the night. As a consequence I feel much better in myself and feel that i look much better too. If I could go back and give myself a piece of advice or support when I was struggling it would be to seek help at a much, much earlier point. 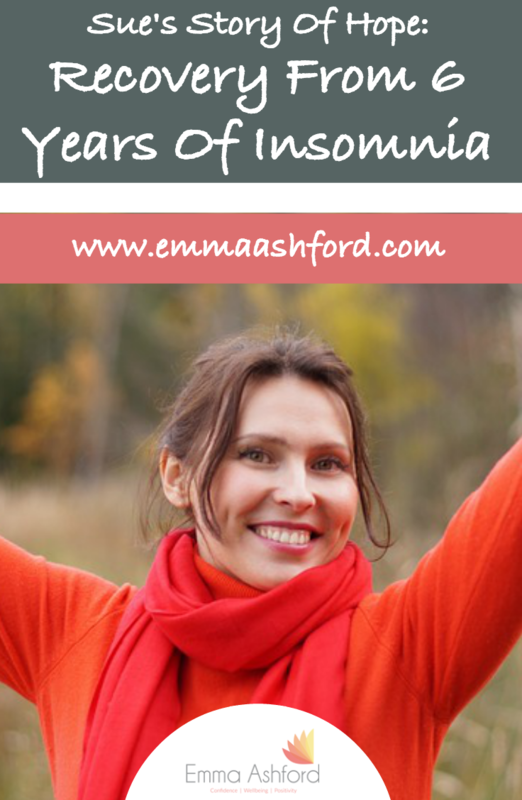 My sleep problem had been going on for 6-8 years – beginning with the menopause- but continuing after other symptoms such as hot flushes had finished. It took me a long while to see it as a ‘problem’ that could be addressed by seeing help! I’m entirely happy with the therapy experience and service offered by Emma – I was seen very quickly and had regular appointments over a few weeks – so the problem was resolved fairly quickly.